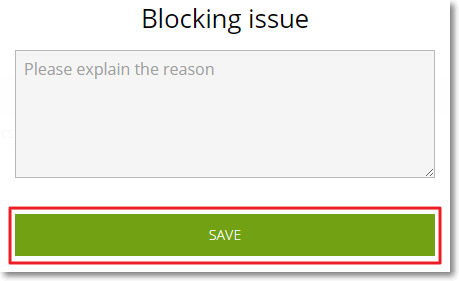 This action opens a form where you have to enter the reason for blocking the Issue. Enter the reason why you want to block the Issue and then click SAVE. Note: To unblock an Issue, go to its details page and, on the Sidebar, click .